Russia continues registration of Genetically Engineered (GE) crops for imports of food and feed in accordance with existing Russian legislature. In September 2013, the Russian Government initiated legislation for the registration of GE crops for cultivation starting July 2014. However, in June 2014 the Government delayed implementation of this legislation by three years, to 2017. Given that the registration process is estimated to take 5-6 years, cultivation of GE crop in Russia cannot be expected before 2013-2024. The Ministry of Agriculture, the main body responsible for any seed registration has been very conservative on the cultivation of GE crops. Labeling and information for consumers on the presence of GE ingredients in food products is regulated by the technical regulations of the Customs Union (CU) on safety and labeling of food products. These regulations require that products sold in CU member states must be labeled if they contain the presence of over 0.9 percent of GE lines in food products. CU technical regulation for feed has not been adopted yet. However, feed sold in Russia is subject to Russian regulations that does not require labeling of GE feed, but does require registration of GE lines for use in feed, and requires registration of feed as GE feed if the presence of registered lines is over 0.9 percent and the presence of non-registered lines is over 0.5 percent. Since July 2013, there have been no actual changes in the legislation or mechanism that regulate Russian agricultural biotechnology. However, this year there have been more heated discussions and proposed regulatory draft documents concerning GE crops, than Russia has seen in the last five years. In 2010, Russia adopted a Federal Law that allowed the federal government to develop a registration procedure for the cultivation of biotech crops via a Resolution of the Government, not through an amendment to the federal law. On September 23, 2013 this Resolution was adopted under No. 839. In accordance with Resolution 839, the development of a mechanism for the registration of GE crops for cultivation should have been completed by July 1, 2014. However, this Resolution immediately stimulated a hot anti-GMO campaign in Russia. By spring 2013, a number of institutions became embroiled in the debate from the agrarian committees of both the lower (Duma) and the upper (Council of Federations), chambers of the Federation Assembly of the Russian Federation, Russia’s major legislative body, the Ministry of Agriculture of the Russian Federation, several public organizations, and authorities of some Russian provinces. Several draft amendments to the Russian legislature on agricultural biotechnology were proposed, ranging from postponing the implementation of Resolution 839 by several years to a complete ban on turnover of genetically engineered crops and products on the territory of Russia, including a ban on imports of such products, and criminal penalties for illegal growth and distribution of genetically engineered crops. The campaign ended in June 2014 with the adoption of a government Resolution that delayed the start of registration of GE crops for environmental release by 3 years, to July 1, 2017. However, this new legislation did not change the requirements for involved ministries and agencies to develop a mechanism for such registration. Given that the registration process is estimated to take 5-6 years, cultivation of GE crop in Russia cannot be expected before 2013-2024. “The Comprehensive Program for Development of Biotechnology in the Russian Federation through 2020” (BIO 2020) remains Russia’s governmental guideline for the development of biotechnology. This Program BIO 2020 authorized different Russian Ministries to develop biotechnology in their appropriate spheres; including development of different branches of agricultural biotechnology, one segment of which is the “development and introduction of genetically modified plants in agriculture.” Following the adoption of “BIO 2020” on April 24, 2012, the Ministry of Agriculture included “development of biotechnology” in its “Agricultural Development Program in 2013,” and left “development of biotechnology” as one of the targets of the Agricultural Development Program in 2013 and through 2020. However, this was for the development of plant protection, development of biotech methods of processing of agricultural products, and not for development of GE crops. The registration of GE crops/lines/traits for imports for food and feed has continued. Moreover, since July 2013 imports of soybeans and soybean products and ingredients have increased, primarily due to increased imports from the United States. However, this increase has been attributed primarily to a drop in domestic production of soybeans caused by significant flood damage in the Far East (A major Russian soy production area), and continued high demand of high-protein feeds for the Russian poultry and livestock sectors; rather than due to any change in biotech policy. Labeling and information for consumers on the presence of GE ingredients in food products is regulated by the technical regulations of the Customs Union (CU) on safety and labeling of food products. These regulations require that in the CU member states products must be labeled if the presence of GE lines is over 0.9 percent. CU technical regulation for feed has not been adopted yet. However, feed sold in Russia is subject to Russian regulations that do not require labeling of GE feed, but do require registration of GE lines for use in feed, and do require registration of feed as GE feed, if the presence of registered lines is over 0.9 percent and the presence of non-registered lines is over 0.5 percent. In Russia, the de-facto ban on genetically engineered (GE) crop cultivation continues. Although Russia does not have an official ban on the cultivation of GE seeds, it also does not have a mechanism for their approval for release into the environment. As a result, according to the Russian Federal Law on Genetic Engineering, without such a mechanism the cultivation of GE seeds and crops is not allowed. In April 2012, Russia adopted the Comprehensive Program on Development of Biotechnology through 2020 (BIO 2020). The program BIO 2020 envisages development of different branches of biotechnology, including agricultural biotechnology; one segment of which is the “development and introduction of genetically modified plants in agriculture.” However, BIO 2020 did not propose mechanisms for this development. In accordance with the Federal Law of October 2010 that allowed the government to develop a registration procedure for the cultivation of GE crops, the Government of the Russian Federation adopted Resolution No. 839 that ordered the Ministry of Agriculture together with other administrative authorities to develop the mechanism of such registration by July 1, 2014. The Federal Service for Veterinary and Phytosanitary Surveillance (VPSS) at the Ministry of Agriculture was appointed the implementer of such registration. However, in June 2014 the date for implementation of Resolution 839 was delayed by 3 years to July 1, 2017. The mechanism for registration of GE crops for release into environment has not been developed. Russian scientists have continued some laboratory research on GE crops, but the research has not yet reached the stage of field trials. Although field trials are not prohibited, they need special permission from the Variety Testing Commission at the Ministry of Agriculture, which some companies report, is no longer granted. The Commission is responsible for tests of any seed variety, even for small-scale field trials for research purposes. The adoption of the program BIO 2020 fanned expectations of Russian scientists in the field of biotechnology. Also, since more and more agricultural producers have expressed an interest in GE crops, especially drought-resistant crops and crops that are better suited to minimum and no-till farming, many scientists feel that there is a large potential market in Russia for these crops. Despite this demand, scientists report that they cannot increase research and begin commercializing these crops until Russia implements a mechanism for approval of GE crops for cultivation. In 2013, the Russian Government merged three Russian Science Academies (Russian Academy of Sciences, Russian Academy of Agricultural Science, and Russian Academy of Medical Science). The major Russian science institute, which conducts research on GE crops, is the Russian Institute of Agricultural Biotechnology in the former Russian Academy of Agricultural Science. It is not clear yet what impact this reorganization will have on this institute’s functioning, but it is unlikely that during the transitional period the scientists in this institute will expand their research work or will lobby in favor of registration of GE crops for cultivation. Russia imports GE crops, and processed products containing GE ingredients. Imports of GE planting seeds are not allowed since Russia does allow cultivation of GE crops. Imports of GE processed products is allowed if these crops/products have been tested and registered in Russia for food and/or feed use (See paragraph APPROVALS in PART B of the report). Russian Customs data does not separate GE products from the non-GE products. However, most corn and soybeans imported into Russia, as well as products produced from corn and soybeans, may contain genetically modified organisms. In accordance with Russian and the CU legislation, imported food products are considered non-GE if the presence of GEs does not exceed levels determined by Russian and the CU legislation: not more than 0.9 percent of registered or non-registered GE lines in food products or ingredients, and not more than 0.9 percent of registered GE lines in feed ingredients. These levels have been fixed under the CU Technical Regulations on safety of food products and, oils and fats, grains, oilseeds, and some other technical regulations. The CU Technical Regulation on Feeds has not been adopted so far, and the Russian requirement for feeds is still in force: for feeds that are declared as non-GE the presence of registered GE lines shall not exceed 0.9 percent, and the presence of non-registered GE lines shall not exceed 0.5 percent. In feeds that are declared as GE, the presence of non-registered GE lines also shall not exceed 0.5 percent (for more information see section Plant Biotechnology Policy). Russia is increasing its poultry and swine production at large, integrated poultry and swine farms that use compound feeds in the feeding rations. The demand for protein and energy ingredients, such as corn and soybeans/soybean meal is increasing. Russian is trying to increase domestic production of these crops, and in 2013 Russia’s corn crop reached the record level of 11.6 million metric tons (MMT). The soybean crop was seriously damaged by severe flood in the Far East, Russia’s major soybean producing area. However, Russian farmers have continued to increase area sown to soybean crop. Despite increased domestic production of protein and high energy feeds such as soybeans and corn, Russia continues to import soybeans, corn, and products processed from these crops. Due to high corn crop in 2013, corn imports decreased from 57,000 MT in June – April 2012/13 to 49,500 MT in June – April 2013/14. Soybean imports, on the contrary, increased driven by both decreased domestic crop and high demand in protein feeds. Russia’s imports of soybeans increased from 593,600 MT in the first eleven months of MY 2012/13 to 1.3 MMT in the same period 2013/14. Imports of soybeans from the U.S. increased from 56,000 MT to over 393,300 MT. The anti-GMO preference of Russian consumers can still influence imports of corn and soybean and their products, especially soybeans and soybean products. In general, the feed trade does not reflect any strong pro- or anti-biotech bias. However, some regions in the south of European Russia, including Belgorod oblast (Russia’s major meat producer), have declared themselves GMO-free-zones and buy only non-GMO feeds, which are more and more difficult to find in the market. The anti-GMO campaigns in 2008-2011, and the recent one in MY 2013/14, affected food processors’ decisions, and importers of these commodities still prefer certified non-GE products in order to meet consumers’ preferences. Russia’s soybean crop is focused in the Far East, and European Russia (in the West) relies largely on imports to meet demand. Sodruzhestvo, Russia’s major soybean crushing company, maintains separate facilities for GE and non-GE soybeans in Kaliningrad. In 2013/14 (11 months) the major exporters of corn to Russia were Romania, Hungary, and Ukraine. The major exporters of soybeans were Paraguay (620,505 MT), United States (393,323 MT), and Ukraine (141,731 MT). The major exporters of soybean meal to Russia were Brazil (214,080 MT) and Argentina (209,716 MT), followed by minor suppliers, such as Germany (29,341 MT), Ukraine (20,175 MT), and the U.S. (16,906 MT). Federal Service for Surveillance in the Sphere of Human Rights Protection and Human Well-Being (Rospotrebnadzor) headed by the Chief Sanitary Doctor of the Russian Federation. Rospotrebnadzor has the following functions: - Conducts survey and control of turnover of GE food products in order to provide for the sanitary-epidemiological well-being of population and protection of consumer rights in accordance with Russian and Customs Union legislation; - Conducts state registration of new food products containing GE organisms, including those that are imported into Russian for the first time; - Keeps the state register of GE food products allowed for sale, production and imports on the territory of the Russian Federation; - Develops legislation on GE food products, which previously was the function of the Ministry of Health and Human Well-Being before the separation of Rospotrebnadzor from the Ministry of Agriculture in 2012; - Together with the Federal Service for Veterinary and Phytosanitary Surveillance and the Federal Service for Surveillance in the Sphere of Human Health monitors the influence of GE crops and products on people and environment. The Ministry of Agriculture of the Russian Federation participates in the development of agricultural biotechnology policy together with Ministry of Economic Development and Ministry of Science and Education of the Russian Federation. Its functions are the following: - overall legal regulation in the sphere of veterinary and phytosanitary well-being of Russia aimed at mitigation of any negative effects of GE crops and organisms on agricultural animals, plants, the environment, agricultural raw products, processed food products; - overall policy development for the use of GE crop and organisms in agriculture, including for cultivation, as prescribed by the Government Resolution 839 that will come to force on July 1, 2014. Federal Service for Veterinary and Phytosanitary Surveillance (VPSS) is subordinated to the Ministry of Agriculture of the Russian Federation. With regard to GE approvals, it: - Surveys the safety of feeds and feed additives derived from GMO at all stages of production and turnover; - Keeps the state registration of feeds derived from GMO; - Issues certificates of registration for GE feeds; - Keeps the state registration of GE plants and animals destined for cultivation and production on the territory of the Russian Federation, as prescribed by the Government Resolution 839 that will come to force on July 1, 2014; - Together with the Federal Service for Veterinary and Phytosanitary Surveillance and the Federal Service for Surveillance in the Sphere of Human Health monitors the influence of GE crops and products on people and environment. The Customs Union of Kazakhstan, Russia and Belarus (CU) develops and adopts the common customs and technical regulations for all countries-members of the Customs Union. The GOR Resolution 839 of September 203, 2013 not only concerned the environmental release of GE crops into environment, but was an attempt to harmonize Russian legislation on biotechnology. However, its postponement to 2017 leaves this legislation as it was. As of July 2014, Russian legislation in the sphere of agricultural and food biotechnology still does not contain a comprehensive harmonized code of laws. Federal laws, government resolutions, technical regulations of the Customs Union and orders of the Chief Sanitary Doctor (the Head of the Federal Service for Surveillance in the Sphere of Human Rights Protection and Human Well-Being - Rospotrebnadzor) listed below regulate Russian agricultural biotech policy at present. These include laws on product registration and consumer information about GE ingredients in food products. Since Russia became a member of the Customs Union (now Euro-Asian Economic Commission – EEC) its trade legislation is subordinated to the legislation of the Customs Union. As of July 2012, the Customs Union adopted several technical regulations that concern agricultural biotechnology and consumer labeling, and on July 1, 2013, these technical regulations came to force. These are the following Technical Regulations of the Customs Union: Technical Regulation on Food Safety, Technical Regulation on Food Labeling, and Technical Regulation on the Safety of Grain. Another Custom Union Technical Regulation that will be important from the point of view of imports and turnover of GE feeds is the Technical Regulation on Feeds. However, this CU Technical Regulation is still under discussion. • Resolution of the Government of the Russian Federation No. 422 of July 14, 2006 which transferred testing and registration of biotech feeds from the Ministry of Agriculture of the Russian Federation to the Federal Service for Veterinary and Phytosanitary Surveillance (VPSS) at the Ministry of Agriculture of the Russian Federation. • Resolution of the Russian Government No. 717 of July 14, 2012, “On the State Program for Development of Agriculture and Regulation of Agricultural and Food Markets in 2013-2020”. The program outlines the main directions of development of agricultural science, including biotechnology, although agricultural biotechnology is not a priority. • Order of the Ministry of Agriculture on approval of regulations for VPSS on the State Registration of Feeds Derived from Genetic-Engineered-Modifies Organisms. Since July 2010 the Customs Union adopted several technical regulations that will influence agricultural and food biotechnology. These technical regulations came to force on July 1, 2013, and all regulations require marking the presence of GMOs on labels, and informing consumers in cases when food products are processed from or with the use of GMO even if there is no DNA’s or proteins of GMO components in the marketed food products. • The use of GMO in baby food and in food for pregnant and nursing women is not allowed (Paragraph 1 of Article 8). CU Technical Regulation No 022/2011 on Food Labeling (adopted in December 2011 and came to force on July 1, 2013). This technical regulation requires that food products with GMO shall be labeled, and determines the format of this labeling. The presence of 0.9 percent and less of GMO shall not be labeled, and the product is not considered as a genetically modified (GM) products. Labeling of food products as non-GMO is voluntary and the absence of GMO shall be proved and documented. For packaged food products requirements the labels shall contain information on the presence of food product ingredients obtained with the use of genetically modified organisms. The GMO ingredient is not excused from being listed in the compound ingredients of food products in cases when the mass of the compound ingredient is not more than 2 percent of the mass of the product (Paragraph 4.10). The information about the specific characteristics of food products, including absence of components obtained from GMO (or) with the use of GMO, shall be confirmed by proofs. Organizations or individual entrepreneurs releasing such food products for circulation in the unified customs area of the CU shall keep the documents with proofs of presence of specific characteristics of food products. The Technical Regulation on Food Labeling also has a special paragraph (4.11.) “Requirements for Specification of Information on Presence of Ingredients Obtained with the Use of Genetically Modified Organisms in Food Products in Food Products Labeling.” The paragraph reads as following: 1. For food products obtained with the use of GMO, including those not containing deoxyribonucleic acid (DNA) and proteins, the following information shall be specified: "Genetically modified products" or "Products obtained from genetically modified organisms", or "The product contains components of genetically modified organisms". If the manufacturer did not use genetically modified organisms in the process of manufacturing food products, the content of GMOs of 0.9 percent or less is an accidental or technically irremovable impurity, and such food products shall not be referred to as food products containing GMOs. When labeling such food products, GMO presence shall not be stated; 2. The indication of the following information is obligatory for food products obtained from genetically modified microorganisms or with the use thereof (bacteria, yeast and filamentous fungi, the genetic material of which was modified with the help of genetic engineering methods) (hereinafter referred to as the GMM): a) For products containing living GMM - "The product contains living genetically modified microorganisms"; b) For products containing unviable GMM - "The product was obtained with the help of genetically modified microorganisms"; 3) For products freed from engineered GMM or for products produced with the help of components freed from engineered GMM - "The product contains components obtained with the help of genetically modified microorganisms”; 3. Labeling of food products shall not contain information on GMO presence with respect to the used processing aids, produced from or with the help of genetically modified organisms. CU Technical Regulation No 015/2001 on the Safety of Grain (adopted in December 2011, came to force on July 1, 2013). The Technical Regulation determines requirements for information on grain/oilseeds during transportation either in bulk of in consumer packs (for feed purposes). Article 4 (Safety Requirements, paragraph 16) stipulates that grain transported unpackeged should be accompanied by shipping documents that ensure its traceability and provide information on GMOs if presence of GMOs is higher than 0.9 percent. …For the grain obtained with the use of GMOs the information should be given: "Genetically modified grain" or "grain obtained from the use of genetically modified organisms" or "grain contains components of genetically modified organisms", indicating the unique identifier of the transformation event. In addition, in the sanitary requirements for grain/oilseeds (MRLs of toxic elements, micotoxins, pesticides, radionuclide and pests) the technical regulation stipulates that grain/oilseeds (both for food and for feed use) may contain only registered GMO lines (registered in accordance with the legislation of the states, members of the CU), and in the GM grain presence of non-registered lines shall not exceed 0.9 percent “Grain may contain only those GMO lines that are registered in accordance with the legislation of member states of the Customs Union. In grain that contains a GMO presence of not more than 0.9 percent of non-registered GMO lines is allowed.” The same state standards (GOSTs) as in Technical Regulation 021/2011 shall be applied (GOST R 52173-2003 and GOST R 52174-2003). CU Technical Regulation No 023/2011 “On Fruit and Vegetable Juices and Their Products” came to force on July 1, 2013. It replaced the Russian Federal Law “Technical Regulation on Fruit and Vegetable Juices and Their Products” FL #178 of October 27, 2009. The CU Technical Regulation on Juices and their products bans the use of GMOs in baby food (fruit and vegetable juice products for babies) and requires state registration of any product that was processed using methods of genetic modification. • Based on the Institute’s assessment, Rospotrebnadzor issues a certificate of registration and registers the product. • The Moscow State University of Applied Biotechnology (technological assessment). Plant-origin feed imports no longer require a veterinary certificate but still require a letter stating that the feed is biotech free. Feed may be classified as biotech-free if presence of each non-registered biotech line in feeds does not exceed 0.5 percent and if the presence of each registered biotech line in the feed does not exceed 0.9 percent. In this case, “registered” refers to products registered in Russia and “non-registered” refers to products not registered in Russia. The presence of genetic alterations in feed components is calculated separately and not comprehensively. For example, if two registered components in feed contain 0.6 percent of genetic alterations in each, then the feed is considered to be non-biotech, although together the sum is 1.2 percent. The pre-export identification of feed as non-GMO is not required. It is up to the producer/exporter to declare the feed as non-GMO, but VPSS regardless examines the products for the presence of GE components. If the feed contains GE ingredients, and is not declared as biotech free, the shipment must include a copy of the certificate indicating that the biotech components in the feed are registered with the Federal Service for Veterinary and Phytosanitary Surveillance (VPSS). The imports must also have a phytosanitary quarantine certificate, although this requirement is unrelated to biotechnology. Any biotech components in feed must be appropriately registered. Presence of each non-registered biotech line shall not exceed 0.5 percent. The Custom Union’s Technical Regulation on Feeds has not been adopted yet, but the draft has the same 0.5 percent norm of non-registered biotech lines as in the current regulations. However, the adopted Technical Regulation on Safety of Grain stipulates that feed grain/oilseeds is considered non-GMO if the presence of each non-registered biotech lines does not exceed 0.9 percent. The Technical Regulation on Safety of Grain came into to force on July 1, 2013. All documents shall be in Russian or shall have a certified translation into Russian. Copies of document shall be certified by a notary. VPSS will make a decision on the registration of a GMO feed based on the Conclusion of the Experts Council on the safety (non-safety) of the GMO feed. To register formula feeds, VPSS issues feed-registration certificates to a specific applicant for an individual shipment during a certain period of time. VPSS only issues certificates for feeds produced using registered GE crops. The certificates cannot be transferred to different importers. This registration is conducted by VPSS. The research of crops for feed use and the research of biotech formula feeds before the approval is conducted by the Federal State Organization “All-Russian Center of Quality and Standardization of Animal Pharmaceuticals and Feeds – VGNKI, subordinated to VPSS. Rospotrebnadzor’s charges for all examinations and related services, including comprehensive studies required to register for food use biotech events. The fee varies, depending on the range of examinations and studies, but averages around $100,000 for the approval of new events for an unlimited period. The option to register for an unlimited period began in 2006. The fee for re-examination and re-approval of events that were registered before 2006 is approximately $10,000. Registration of food products that contain a previously registered biotech event is 20,000 rubles ($580). For registration of biotech events for feed use, VPSS usually registers events only after it has been approved for food-use. However, the registration fee is usually higher and the process is more complex. The registration fee is not fixed, and depends on the range of examination and studies. In average, the charge for examination and a 5 year event registration for feed use is approximately $100,000. The charge is the same for registration for the first time and for re-registration every five years. Companies that import formula feeds with registered biotech components also need to register these feeds as biotech feeds. The registration is given to the company that imports this feed and VPSS requires that each feed that contains a registered GM event also be registered. • Ministry of Agriculture submitted for public comments (text is not available) the draft of Administrative Order “On approval of methodological guidelines for evaluation of risks and for risk management at the use (issuance) of genetic-engineered modified plants in/into the open systems”. The Order has been drafted in accordance with the GOR Resolution No. 839. • The Russian Federal Service for Surveillance in the Sphere of Consumer Rights Protection and Well-Being of Population drafted amendments to the Customs Union (CU) Technical Regulation (TR) on Food Products Labeling. The draft amendments concern labeling of products containing GE ingredients, and propose a requirement that information on GMOs cover not less than 20 percent of the food composition and ingredients label area. It also proposed to make it mandatory to state the percentage of each GMO ingredient in the product. (FAS/Moscow GAIN report Draft Amendments to GMO information in CU TR on Food Labeling_3-14-2014.pdf.). These amendments were drafted before the postponement of implementation of Resolution 839, and were in response to the anti-GE campaign rather than health concerns. There is no information on the status of these amendments. Moreover, since amendments concern CU TR, for further movement they should be considered by the EuroAsian Economic Commission (EEC) with participation of experts from all country –members of the CU. • The Federal Service for Veterinary and Phytosanitary Surveillance (VPSS-Rosselkhoznadzor) confirmed that sowing of genetically engineered (GE) crops in Russia is illegal and decided to conduct an un-scheduled investigation of possible violations in the sowing practices in Russia. The VPSS posted on its web-site the clarification on GE crops cultivation in Russia as a response to the information that appeared in the Russian mass media and in some industry sources that cultivation of GE crop in Russia has begun. VPSS made it clear that the start of registration of GE crops has been postponed by the Russian Government to July 2017, and it will take several years from the beginning of the process of registration to the approval of a GE crop for cultivation. So far even the methods of research of biosafety of individual GE crops for the cultivation have not been adopted in Russia. Given all this, the VPSS decided to conduct the un-scheduled investigations of the seed industry in order to identify the violations and, in case GE crops are grown somewhere in Russia, to bring offenders to justice. • Soybean SYHT0H2 (Syngenta) was registered for feed in April 2014. Submitted for registration for food, and this registration is expected in the end of 2015. Besides, Corn MON 89034 (Monsanto) line is expected to be registered for food use in summer 2014. For feed this line was registered in March 2013. In addition, Russia re-registered three crops/lines for feed use (Roundup Ready® corn NK 603, Corn MON 88017 (CCR), and Liberty Link® soybeans A2704-12). One line of soybeans (Soybeans FG72, tolerant to isoxaflutole and glyphosate) is under review for food registration since December 2013, and for feed registration since January 2014. Since the beginning of registrations of biotech lines for food use in 1999, Russia has approved and registered 26 lines of GE crops. However, 3 lines such as Sugar beet line GTSB77 resistant to gliphosate, Potato RBBT02-06 resistant to Colorado beetle, and Potato SPBT02-5 resistant to Colorado beetle, were not re-registered because of the closure of the projects. Thus, as of July 1, 2014, Russia has 21 lines of biotech crops that can be legally imported to Russia for food use, and one additional line expects registration for food use in summer 2014. There are twelve lines of corn, six soybean lines, one sugar beet line, one rice line, and two lines of potato. Of these total 22 crops, 17 are also registered for feed use, including 11 lines of corn and 6 lines of soybeans. Besides, Soybean line SYHT0H2 was also registered so far only for feed use, thus making the total of 18 lines registered for feeds. One line of corn (Bt corn MON 863 - registration for feed expired in August 2013), has not been submitted for re-registration because this line is not produced any more. Monsanto, Bayer, Syngenta and BASF were the only four companies to have their biotech crops registered in Russia, and BASF started registering its crops only in 2012/13. One registered sugar beet variety belongs to Monsanto and KWS. Since 2007 food registration is given for unlimited period; however, the certificate of registration can be recalled if negative incidents occur. Feed registrations are granted for five years. For feeds VPSS registers feeds and additives only for 5 years. VPSS continues registration only for Russia. It is still not clear, when and how VPSS is planning to begin issuing certificates for biotech feed products valid on the territory of the whole Customs Union. The CU Technical Regulation on Feeds is still under discussion, and has not been adopted. Not applicable. Since there are no legislation and mechanisms for release of GE crops into the environment, Russian researchers do not conduct wide scale field tests of GE crops. Russia approved stacked events for food and for feed use, but required registration of every trait separately. Thus, if the stacked event has three traits, the applicant shall submit documents for every trait, and shall register each trait and then the stacked event. So far Russia issued approvals for three stacked events: Corn Mon 88017 (CCR) approved for food and for feed use, RR soybeans Mon 89788 (RRS2Y) approved for food and feed use, and Corn BT 11, approved for food and feed use. One stacked event, Soybean HPPD is awaiting approval both food and feed use. Food labeling: In accordance with the Technical Regulations of the Customs Union that came to force on July 1, 2013, all organizations that import, produce, or trade food products to/in the country-members of the Customs Union (at present Kazakhstan, Russia and Belarus) must inform consumers about the presence of biotech components in food products if each individual biotech event does not exceed 0.9 percent. 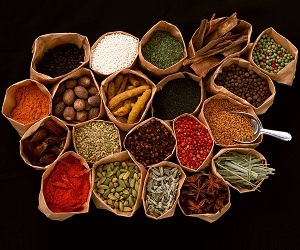 The methods that should be used to test for biotech presence in food are also specified in the Attachments to the CU Technical Regulations on Food Safety and Food Labeling, and are the same that were used in Russia by Rospotrebnadzor before the CU Technical Regulations on Food labeling and Food Safety came into force. For food products imported to Russia, Rospotrebnadzor has the right to conduct sample tests to detect the presence of biotech components. In order to verify the biotech-free claim, the producer or exporter may conduct its own tests at independent laboratories (it may be an IP system or PCR test), but the results of these tests are not accepted by the Russian Rospotrebnadzor. These pre-export tests are voluntary for producers and exporters. If a producer/exporter claims that its products are not genetically altered, Rospotrebnadzor still has the right to examine these products. Furthermore, if the presence of genetic alteration in the products is more than 0.9 percent, a claim for fraud may be lodged on that company. Usually Rospotrebnadzor pays special attention to products containing soybean or corn ingredients. For more information on the CU’s food labeling requirements please see section Decisions of the Customs Union above. In March 2014, Rospotrebnadzor proposed amendments to the CU TR on food labeling, but these amendments have not been adopted, and even have not been discussed by the members of the CU. For more information please see section Recent Activities of Russian Authorities in Regards to GE Crops Feed labeling: Information on composition of feeds, including presence of biotech components is in the shipping documents, but so far Russia has not required labeling of presence of GMOs in feeds on consumer packs of feeds. The CU Technical Regulation on Feeds is still under discussion, and has not been adopted. The requirements for information on GMO in shipping documents for grain and oilseeds and their products are in the CU’s Technical Regulation on Safety of Grain. For more information please see section Decisions of the Customs Union above. Russia has a de-facto ban on cultivation of GE crops, and this impedes the U.S. exports of planting seeds of crops, such as soybeans, rapeseed, sugar beets and corn. Russia’s demand for efficient, drought-resistant varieties and hybrids of planting seeds of these crops is very high, but there is no open market for these seeds. Russian scientists understand the necessity to monitor biotechnology at the international level, including through measures envisaged by the Cartagena Protocol. However, Russia is the only member of the Customs Union which has not ratified this Protocol. Both Belarus and Kazakhstan have ratified it. Some Russian scientists have opinion that the delay in ratification of Cartagena Protocol may leave Russia without the acknowledged mechanism to defend its own national policy in the field of biotechnology after WTO accession. In Russia, Rospotrebnadzor monitors/tests GE food products and VPSS monitors/test grains, oilseeds for animal consumption and feeds and feed additives and ingredients (for more information see paragraph above on the role of different ministries and agencies). Labeling requirements increase the price of food containing GE ingredients. The price of examining products for the presence (or absence) of biotech components is high because the approved methods of testing are extensive. It is rare to find a GMO label in Russia, though non-GMO labels can be seen on dairy, eggs and poultry products. Since the Moscow city government stopped requiring non-GMO labeling in 2012, many food processors in Moscow have discontinued these special tests on absence of GMOs, and fewer products are sold with the special “Does not contain GMO” label. However, food processors still prefer purchasing non-GE products, especially soybeans and soybean products. 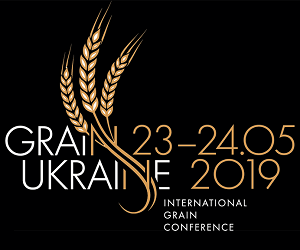 There are no active pro-GE organizations, with the exception of a few select farmers’ organizations and unions that are interested in increasing Russia’s grain and oilseeds production. On the other hand, Russian Greenpeace and the Alliance of the CIS Countries “For Biosafety” are very active in the anti-GMO campaigns. Following the adoption of the Government Resolution No 839 in September 2013, the new wave of anti-GE campaign was launched, and Ministry of Agriculture, Russian major legislative bodies, and even some government top-officials joined this campaign. Public opinion in general reflects a negative attitude to GMOs. However, this negative opinion is seldom reflected in purchasing priorities of the Russian population, which are based on the price of products. In the fall 2013 and all through spring 2014, following the adoption of the Government Resolution on registration of GE crops for release into environment the activities of anti-biotech groups increased and the anti-biotech campaign intensified. The penetration of agricultural biotechnology to Russia is presented as not only as a threat for public health, but as a threat to Russia’s domestic agricultural production. Pro-biotech groups have not received new funds in spite of a declared support of innovations and advanced technologies by the Russian Government. The new program BIO 2020 envisages government advocacy of positive aspects and advantages of biotechnology, including agricultural biotechnology, but does not envisage any special funding for these activities. a. BIOTECHNOLOGY PRODUCT DEVELOPMENT: Research on GE animals was conducted in Russia under the guidance of Professor Lev Ernst, Academician of the Russian Academy of Sciences and the Russian Academy of Agricultural Sciences (he died in April 2012) in the cloning and genetic modification of animals immune to infection diseases. However, during the last two years there has been no information on the continuation of this research. a. REGULATION: Russia’s Program BIO 2020 states that Agricultural biotechnology is a “section of biotechnology dealing with issues of theory, methodology and implementation of its achievements in plant and livestock production.” However, in the recently adopted State Program for Development of Russian agriculture in 2013 the development of biotechnology in animal and feeds production envisages development of bio-additives for improvement of quality of feeds – amino-acids, feed protein, ferments, vitamins probiotics. But it includes no mention on GE animals or cloning.